Today, roughly half of all requests from Chrome to Google servers are served over QUIC and we’re continuing to ramp up QUIC traffic, eventually making it the default transport from Google clients — both Chrome and mobile apps — to Google servers. These benefits are even more apparent for video services like YouTube. 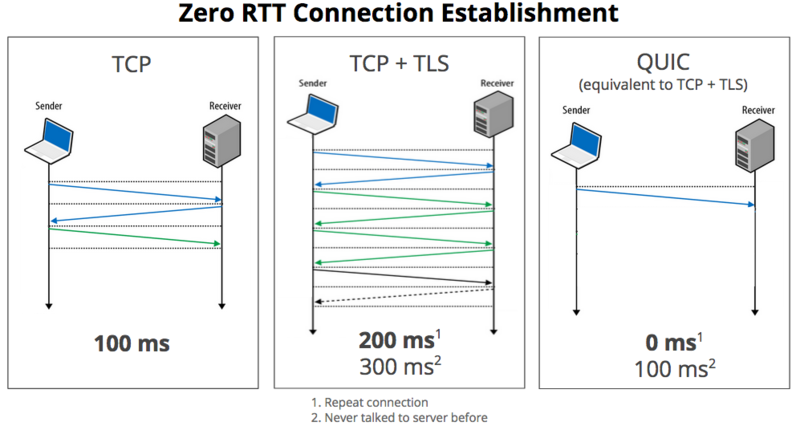 Users report 30% fewer rebuffers when watching videos over QUIC. This means less time spent staring at the spinner and more time watching videos. This entry was posted in Browser, Computer, GoogleChrome, Murmuring, Network, Security, Software, WWW and tagged chrome, google, http, quic, server, spdy, tcp, tls, udp, youtube on April 19, 2015 by Gea-Suan Lin.